Eating disorders are slowly becoming some of the most prevalent health problems throughout our communities in the United States. In fact, the National Eating Disorders Association estimated that roughly 20 million American women and 10 million American men suffer from an eating disorder. And many others are more than likely experiencing borderline-disorder eating patterns. Sadly, we live in a society that often equates being thin or slim-figured with being beautiful. Many individuals have adopted this extremely harmful mindset. And, no doubt, this way of thinking is the driving force behind a major portion of the totaled 30 million cases of eating disorders. Now, it’s important to discuss this a little further. It’s a common belief that people develop eating disorders in an effort to achieve a specific body type. See, many people assume that those who are dealing with an eating disorder are experiencing this issue because they choose to do so. Basically, they feel that disorders of this kind are less “disorder” and more “choice”. By this logic, people who suffer from these issues can end the problem if they simply choose to stop it. But, this just isn’t the case. Eating disorders are, in fact, disorders and they affect the way people think, feel, and behave. It can be hard for people to overcome these disorders. Some individuals feel that their disorder helps them to acquire and maintain a fit and healthy body since these disorders often cause weight loss. Again, these disorders affect the way individuals think. People who suffer from these disorders often have very unhealthy and harmful thoughts concerning themselves. These thoughts often involve self-image and body image. It can be difficult to break these harmful patterns of thoughts and actions. Thankfully, though, a women’s recovery center can provide treatment. But what happens when you’ve conquered an eating disorder and still want to manage a healthy weight? 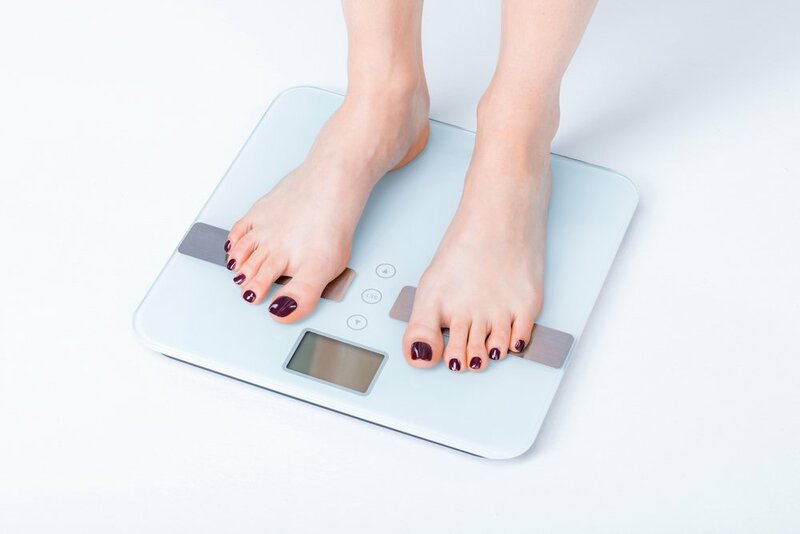 When it comes to attaining and maintaining a healthy weight after recovery from eating disorders, it can be a little tricky. There are many different ways in which people can keep their weight at a healthy number. But, some methods can be difficult and even unsafe for those who have a history of eating disorders. This is because, in many cases, eating disorders are characterized by obsessive behaviors concerning food and weight. For example, people who suffer from anorexia nervosa often struggle with excessively restrictive eating habits. They may deprive themselves of the proper amounts of food in order to avoid overeating. This can cause them to experience extreme weight loss and even result in causing them to become underweight and physically unhealthy. Many of the individuals who struggle with this particular eating disorder might also work out and exercise excessively in an effort to keep their body weight low. Again, there are many ways to maintain a healthy weight. Tracking your in-and-out calories is one way to manage weight. However, this method can become risky for people who have recently recovered from eating disorders. As we mentioned, a major part of many eating disorders like anorexia is tirelessly keeping track of what you put into your body versus what you burn off. So, returning to a state of negative energy balance— burning more calories than what you are consuming— could potentially trigger the unhealthy patterns the individual once struggled with. In some cases, it could even cause the person to relapse and bring on a return of the eating disorder. The good news is, there are other ways of maintaining a healthy weight that doesn’t involve calorie counting. Let’s talk about some examples of healthy and safe ways to stay well without relapsing. We will also discuss some ways in which people who are recovering from eating disorders can find the support and guidance they need in order to avoid relapse. Cutting out processed sugars and saturated fats from your diet are some of the easiest ways to maintain a healthy weight. These are easy to break down and store in your body, which is what causes weight gain. So, you could swap out some of those sugars and fats for protein and good carbs instead. Such examples include lean meats, poultry, green vegetables, and beans. Fruits are also good, nutrient-packed foods. Most fruits are low in calorie and rich in vitamins, minerals and contain natural, unprocessed sugars. One of the long term effects of eating disorders is an unhealthy mindset regarding exercise. A little earlier, we talked about how people who suffer from certain eating disorders sometimes develop a harmful obsession with exercising. Eating disorders often cause people to develop a false sense of self. They lead people to see themselves in an unhealthy light. In other words, some may feel that they need to lose weight when, in fact, they are underweight. This is due to the way eating disorders affect people mentally and emotionally. Again, this mindset is one of the long term effects of eating disorders. It takes time to break out of this way of thinking and believing. The truth of the matter is that exercise is good for you, even if you don’t really have plans to lose weight. For the people who are recovering from an eating disorder, building a healthy exercise regimen is the best option for maintaining a healthy weight and a healthy mindset. Fasting or restricting food are often characteristics of eating disorders. But, they should no longer be a part of life for the individual in recovery. They can easily lead to binging. This, in turn, can lead to the development or redevelopment of an eating disorder. Some of the best forms of exercise to practice regularly for healthy, natural weight management includes hiking, cardio workouts, and resistance training. 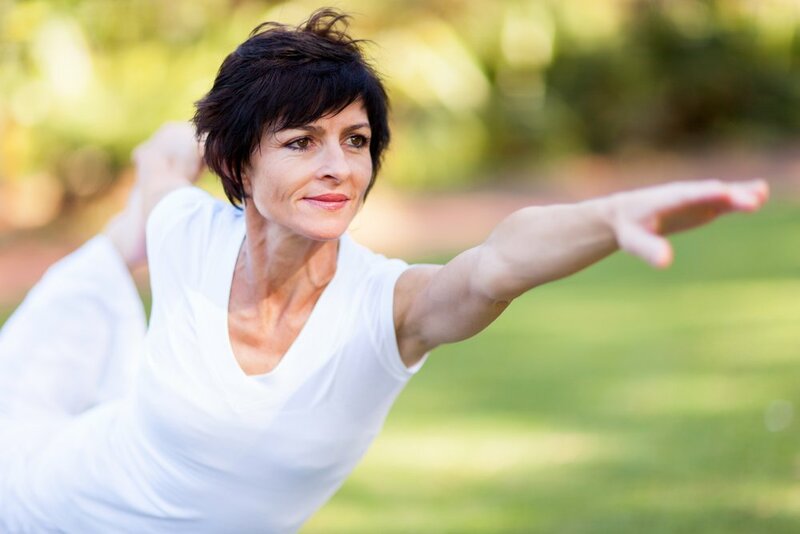 For the people who have an injury that prevents them from comfortably performing high-intensity exercises, things like yoga and swimming are also effective. Remember, changing up your routine and doing something different each workout will keep you motivated and also keep you from hitting a plateau in your weight management goals. Having support will help your motivation to meet your weight management goal. After all, the same thing happened when you conquered your eating disorder: you had support. Ask someone you trust to support you as you try to establish a healthy lifestyle and let him or her know about any difficulties you think you might have. It may be beneficial to have a workout partner or someone to cook meals with. Maybe join forces with a friend who is also trying to maintain a healthier lifestyle. When it comes to successful weight management after an eating disorder, though, you have to be careful. Accountability and support are definite needs during this time in your life. Ask your friend to keep you in check and inform you if he or she notices any odd behaviors or changes in you. 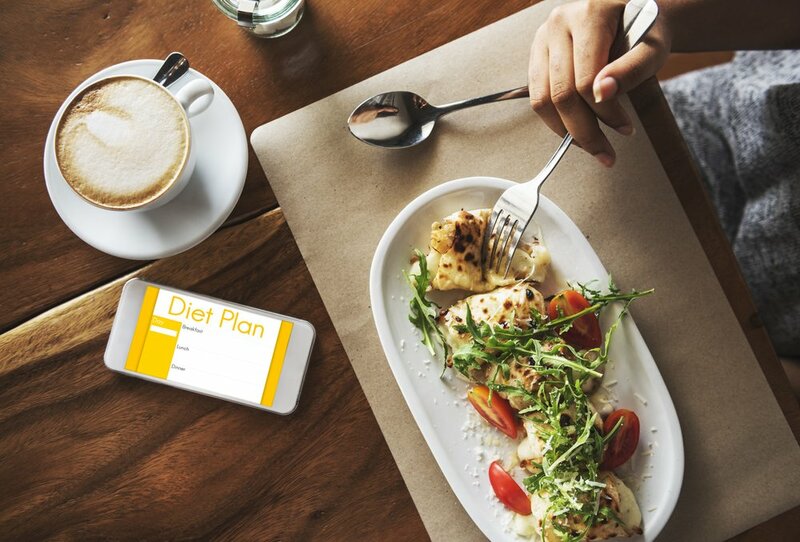 One of the most common causes for an eating disorder relapse is making the transition back to normal eating habits after a weight loss goal has been met. So, be sure to stay in touch with your designated support person. Doing this will make the transition back into healthy eating habits easier. It may also benefit you to keep in touch with an eating disorder support group and a reputable nutritionist. How Do I Find Eating Disorder Centers Near Me? If you are dealing with an eating disorder but you want to overcome this problem, you do not have to feel alone. There is hope for you. Recovery is definitely possible and you can overcome this struggle with the help of a professional treatment facility. “Are there any eating disorder centers near me?” Maybe you’ve been searching high and low for help in your area. Well, if you live anywhere near Asheville, North Carolina, you are near our women’s recovery center! You don’t have to resort to unhealthy methods or put yourself in danger of redeveloping an eating disorder to maintain a healthy weight. There are many safe, effective ways to do so. At Willow Place, we want our patients to look, feel and be the absolute best they can without compromising their health. If you or someone you know is currently suffering from an eating disorder, please call us at 1-888-651-4212. **Originally posted on August 25, 2017. Updated on March 18, 2019.